SKOKIE, Ill. (WLS) -- The high winds on Tuesday knocked down tree branches, one of which damaged a car in Skokie. Tree limbs fell on the vehicle in the 4600-block of Washington. No one was injured. 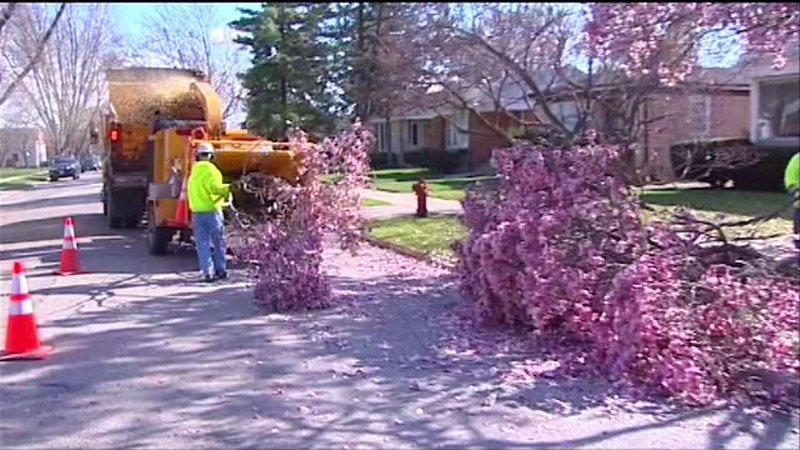 Crews were out Tuesday afternoon to haul away bid tree branches.